For three days from Thursday 12th October, fans of the music and the artistry of Bob Dylan will have the chance to see a number of signed prints and original art on display in the gallery space at ARC in Stockton. 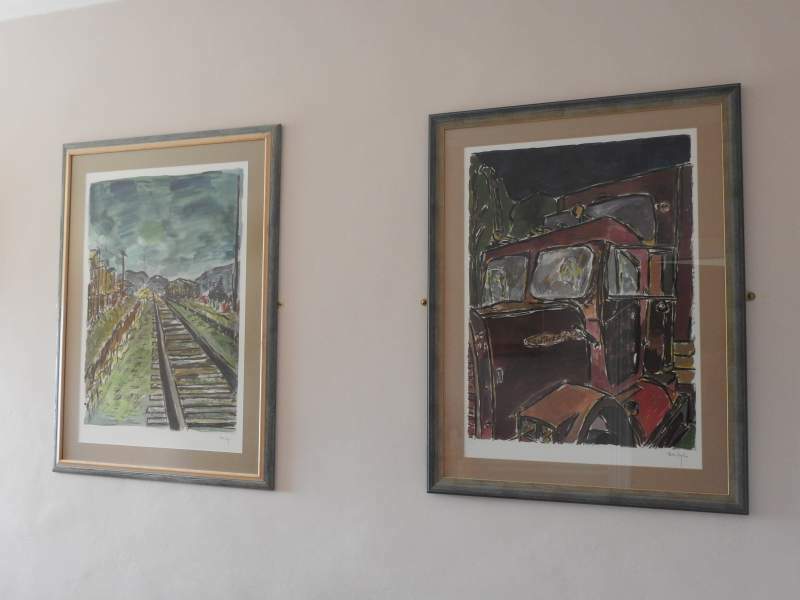 The iconic Truck & Train prints taken from the 2008 Drawn Blank portfolio, from the collection of Mike Peters, are the main attraction along with the original painting Carbondale Motel, as well as the complete Brazil series of prints, and the 2016 Drawn Blank collection. The American singer-songwriter, painter and writer has been influential in popular music and culture for more than five decades. Much of his most celebrated work dates back to the 1960s and connects with all ages and audiences to this day. Bringing It All Back Home to Stockton: A Bob Dylan Experience also celebrates his life with a number of special music and film performances including a unique evening of celebration from Dylan aficionado and frontman of The Dylan Project, Steve Gibbons. Playing a number of Dylan’s best known songs and interpreting Dylan’s career through the years, Gibbons interprets the lyrics with stylish individuality and respect. There’s also an opportunity to check out some of Dylan’s movie appearances at the themed Dylan Film Cafe which will be showing The Last Waltz and Pat Garrett & Billy the Kid on Saturday 14th October.